Villa Rambler home plan with open kitchen dining room. Main floor master. 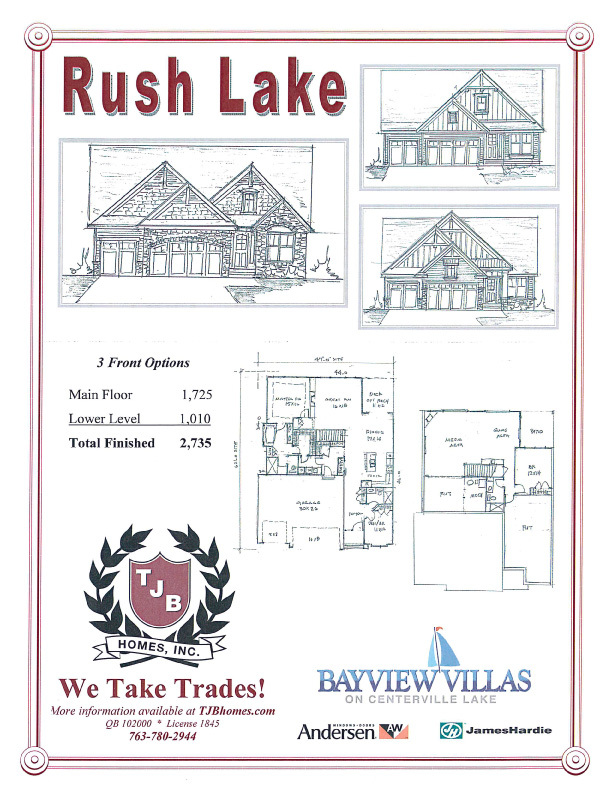 Villa home plan “Rush Lake” by TJB Homes. Featured in Bayview Villas on Centerville Lake, MN.